GoodFellas is an ageing gangster movie, being released back in 1990, but one which has influenced the majority of crime films to come after it. This deeply personal tale is based on the true life book “Wiseguy” by Nicholas Pileggi and capitalises on Scorsese’s own Italian American roots, creating an authentic, dramatic and occasionally shocking movie. Crime movies contain violence; this much is known and expected. What makes a great crime movie is careful use of violence, timed and filmed to provoke and express, not just thrown in to fulfil a checklist of gore. This movie strikes an excellent balance, where violence shocks for the right reasons; because violence happens. Brutal scenes coupled with off-hand quips and casually cool dialogue combine to create a movie that couldn’t help but be iconic. 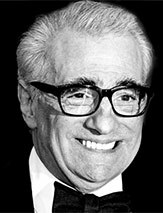 Such combinations are often seen as gauche and sensationalist in modern films, but Scorsese avoids adding unnecessary glamour and manages to lend a certain documentarian weight to this tale of woe and horror, underlining his directorial talent. 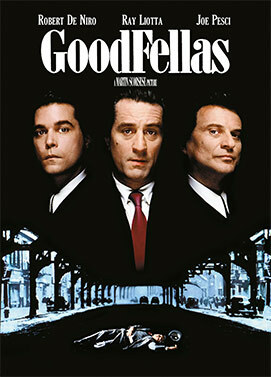 GoodFellas follows the career of real-life gangster Henry Hill, who gave evidence against other underworld figures in 1980. Hill is played by Ray Liotta in stunning style, cementing his reputation (and perhaps typecasting) as a Hollywood tough guy. The movie follows Henry Hill from childhood onwards, entrenched in the Mafia lifestyle from an early age, as it was ingrained in his local community. Hill, like Scorsese himself, would watch the Mafia ‘wiseguys’ strutting out on the street and as the famous line goes: “As far back as I can remember, I always wanted to be a gangster.” From the opening sequence of an almost perfunctory, by-rote murder to Joe Pesci’s infamous outbursts, this is a movie with the power to shock and amaze, while always remaining calm and cool. Much of GoodFellas’ success can be pinned on Scorsese’s filmmaking. Drawing on his Little Italy upbringing and applying his talent for showcasing snapshots of real life on the silver screen, he captures the self-afflicted tragedy of Henry Hill with authentic aplomb. The use of narration to frame the tale sets the scene perfectly. This film is also famous for the Copa Shot; a long Steadicam shot that follows Ray Liotta as he leads Lorraine Bracco (playing Karen) into the Copacabana casino and the room seems to bow to his presence. Liotta shines in this role, swerving from stoic and dangerous to wild and desperate, as his fortunes wax, wane and spiral with the tumultuous tides of organised crime. This movie also showcases Robert De Nero and Joe Pesci as Conway and Tommy respectively. The two characters balance and complement each other and Liotta, while providing little insights into the Mafioso culture. Joe Pesci’s explosive portrayal of Tommy’s violent, unnecessary temper is one of the most memorable parts of this movie; watch it in awe and horror. Watching GoodFellas is like watching a documentary; the characters are brutal but impressive, figures of a bygone age, another world which we hope won’t intersect with our own. We admire them as we admire the gory tales of wars past, with a certain cautionary aspect that certainly carries through in Liotta’s chilling narration. This is a tale of highs and lows, filmed with a touch of genius and sure to impress future generations despite its age.